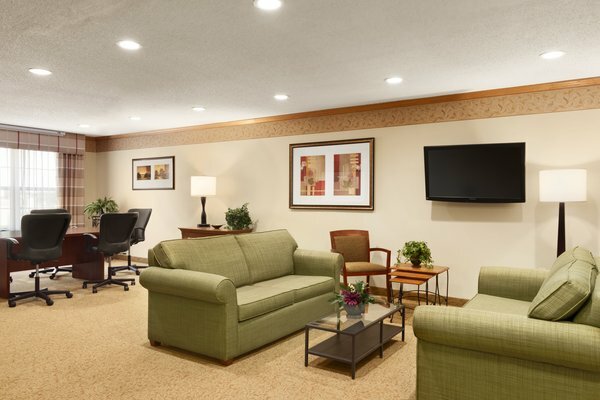 Settle into your comfortable hotel room or suite at the Country Inn & Suites, Sycamore, IL and surf the Web with free high-speed Internet access. A 32-inch flat-screen TV lets you watch your favorite show while you enjoy a snack made with the in-room microwave. In the morning, shut off the alarm clock and welcome the day with a steaming cup of coffee. If you’re traveling with your family, you can reserve a suite or request a rollaway bed for a $10 fee. Cribs are also available on a limited, first-come-first-serve basis. 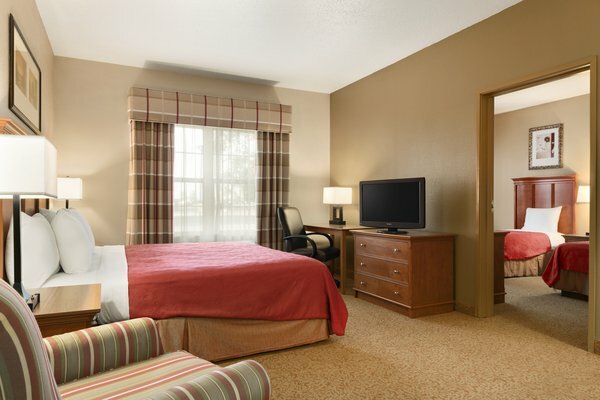 These rooms include a choice of one king bed or two queen beds and all standard amenities. Rollaway beds are available in Standard King Rooms for a fee of $10. One-bedroom Suites feature a living area with a sleeper sofa and a bedroom with a king-size bed. You can also enjoy two TVs and all standard amenities. Ready for a romantic getaway? Reserve our Whirlpool Suite with a king-size bed and an in-room whirlpool tub. These spacious suites offer corporate travelers a living area with a dining table, a TV and a sleeper sofa. The bedroom features a king-size bed and a second TV. Families can take advantage of this spacious accommodation that includes two bedrooms, one with a king-size bed and one with two single beds, and a living area with a dining table. 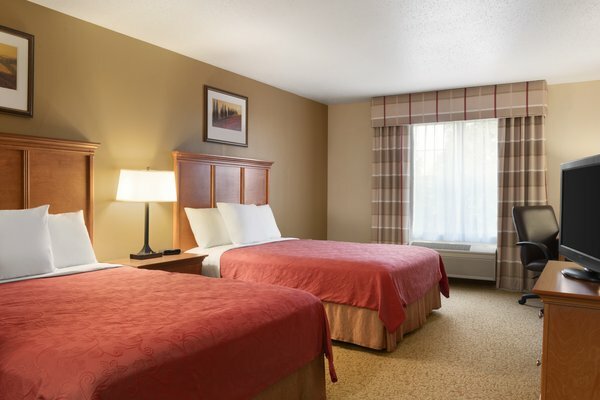 If you’re in town for a long period of time, reserve one of our Extended-stay Suites, which provide all the comforts of home, including a microwave, a refrigerator, a dining table and chairs, and a sleeper sofa.